Never had such a connection with an author! Dude, got more done in 4hrs last night than I did last month...no exaggeration. Sold a business 6 months ago and thought I was doing well, everyone told me so anyway. Grant exposed my complete laziness... 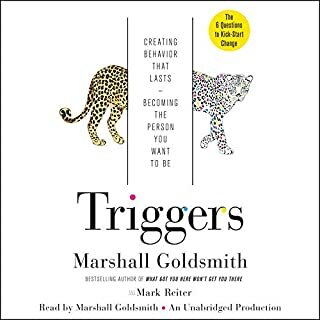 I am turning 50 and I have felt like I am just getting started, but after this book, I know I am 6 months behind already! I took the easy way for the last year, spending money, not exercising, not pushing... now my body is failing, I'm tired, my ego has emerged, I am not achieving greatness. I started with nothing, and designed a few machines, called everyone I could imagine, I emailed, made videos, I was all action, I was a madman, I built a small company from ZERO, doing exactly what Grant said, but only taking action, but probably only 25% of these suggestions and I sold the company in 5 short years. Now my goals are 125X of that. Thank you Grant for bringing a brother back down to earth! I'm so embarrassed in myself. You literally had me in the first 30 seconds. I WILL meet you one day, I must. Favorite new author, started downloading anything this guy wrote/narrated tbefore I left the runway. Dude, I Can't express enough gratitude, you the man. I will meet you in person, I will fill up my white space on the calendar with "laying across the Grant's parking garage until I get 30 seconds of advice" if I have to! I like business books and to hear the success stories. This was a nice change of pace, a little shock so to speak. It made me rethink my stance of how the economic situation has effected me and my roll in "taking it like a man". Grant Cardone can be a greatly motivating listen. And this book is better than The 10x Rule. It's more practical, how-to oriented. He is everything but rational though, and his advice may lead you to success – via a path of ... being and acting like Grant Cardone. That is; aggressive, single-minded and relentlessly marching on and on. In this book he even goes to the extreme of recommending Scientology's crazy mega-vitamin detox – a programme that can be downright dangerous to pursue. A programme that has been discredited by science, and was created by L. Ron Hubbard who was not a doctor or scientist, but a sci-fi writer. So with this book, a return/refund, I'm done with Cardone. Forces You To Ask - Am I Doing Enough? I would recommend this audio book by Mr. Cardone because he's a great salesman. 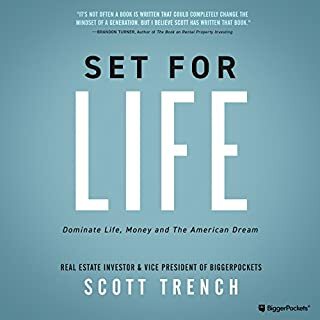 He details various strategies for aggressively dealing with the economically challenged circumstances we find ourselves in. What other book might you compare If You're Not First, You're Last to and why? Sell or Be Sold. Because he's the one reading it. He also gives advice that's outside of the book - from time to time. Not necessarily an extreme reaction. It does cause one to ask - If you're just sitting around not taking any action at all for the betterment of your business - how are you going to improve your personal economy? A great listen! I'm in the car most of the day and by the time I get to where I'm going - I'm motivated by his speaking and have some great ideas to put into action. Well worth it! Must have tools for great salespeople & managers! I not only recommended this book, I bought copies for my friends! Eventhough I've been in sales for 20 years, Grant Cordone had a pocketful of gems and tools for me to use. Grant has that over aggressive, enthusiasm that initially turned me off, but the content keep me interested through the whole book. If you follow his lessons at the end of each chapter you will increase sales and motivate your team. Enthusiatic, Motivational and sometimes overbearing. However he does a great job! What did you take away from If You're Not First, You're Last that you can apply to your work? I now have a book of tools to use to increase sales for my little company. Like setting up a monthly newsletter to my clients, speaking at real estate offices, women's groups, etc., about landscape design and the value that a great garden adds to ones enjoyment of their property and rapid sales in the Real Estate arena. I was turned into grant Cardone by a friend. I'm not obsessed. His level of real and insight to the sales industry is superior of that which I've heard/read before. The author/reader kept my interest throughout each chapter. I enjoyed his candor as well as bits of humor. 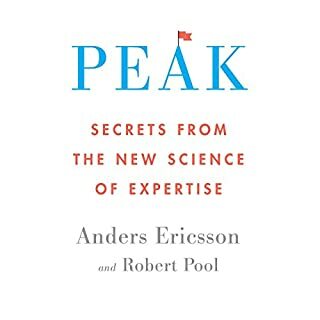 I recommend this to anyone new in the sales business or someone searching refreshing ideas. I listened to 'Sale or be sold' which was much better and richer in content. This book could be easily trimmed down to 2 hours. If you could sum up If You're Not First, You're Last in three words, what would they be? Would you recommend If You're Not First, You're Last to your friends? Why or why not? I'd recommend If You're Not First, You're Last to friends that are business owners or sales professionals. The principles in this book are very valuable. The author's passion and commitment could be a turn off to some listeners/readers. There's some overlap here with Grant's other books. However, if this is the only book by Grant Cardone that you ever read you'll get some great information and inspiration for how to get your business to first place in the customer's mind. Grant is really aggressive here... but he doesn't deliver much info. "The 10X Rule" is definitely a better book. Also, this one is packed with calls to action... he is actively promoting his other products. 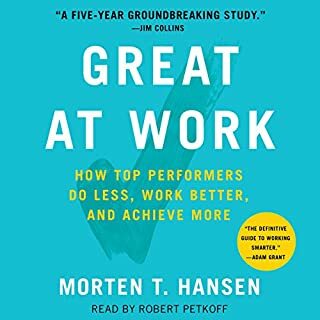 First audiobook I have purchased and it surpassed my expectations. If you are in any way familiar with Grant Cardone then you will expect a certain style of delivery and you won't be disappointed. However, GC also stands for Great Content. 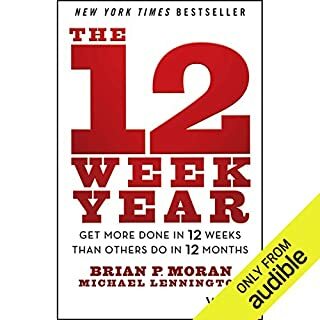 When I bought this book I thought it would teach me something - it does what no other book I be rit gives you the tool and motivates you to use it. Awesome! Essential reading for biz owners, entrepreneurs and marketers. 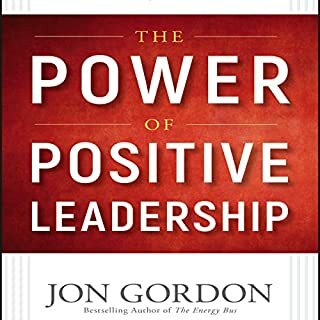 Love the energy and positivity in this book. This guy has helped me a lot, I run my own company and I have taken everything onboard and am using it. Well worth the listen, he is funny too! Loved the homework at the end of each chapter. Brilliant practical tips I used as I was listening and putting in action. This is a great book for any entrepreneur or sales person. Always to the point and lots of tips and techniques to be the best you can be. Highly recommended. Absolute first class from start to finish, the benefits iv taken from this read are endless.. I made my money back on this book 30 times over before I had even finished the last page, needless to say I bought 2 of my sales staff a copy and look forward to seeing them lite up..
Not bad at all and good body of work with a good few gems like on 10x rule but not in par with Sell or Be Sold or Closer's Survival Guide which are mammoth gem drops by comparison. This book however will help to get your mind right if that's what you need or reiteration it you're feeling a little disoriented or approach-rusty. my aim was for sales gems and how-to like the above mentioned but this is more mindset. Can't fault the GC! As business owners or entrepreneurs, life becomes a constant barrage of activity and this can get exhausting. Unless you have a great partner with you, times can get tough and motivation suffers. Grant's done a great job here of reframing the mindset needed to be awesomely successful. great to listen, easy to follow and motivates ! There are other great sales books out there but none rouses, energise s and motivates like this one. nothing like a little Grant on your shoulder to stay focused!! At first i didn't like the guy and now I want to be the guy. This tells you that the guy knows k n o w exactly what he is talking about. Grant Cardone doesn't simply read his own book. He interprets it with energy and expand beyond the written version. You can't help but feel motivated to be and do your best. I must admit this book put a smile on my face as Grant was hilarious in a good way at times. The alternative title for the book would double the sales overnight. A must have book for anyone who wants to succeed. 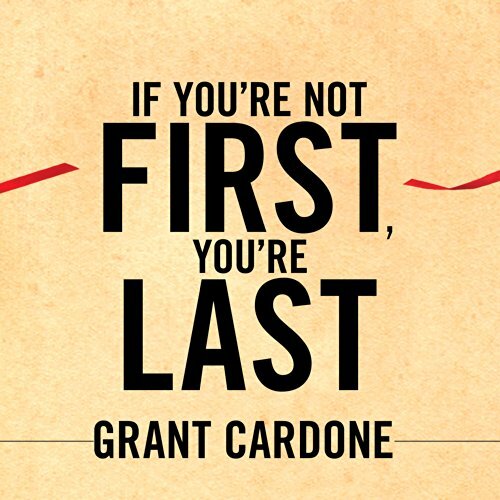 Grant cardone is deffaintly one of the best motivators for any sales person. I highly recommend reading this book. I cant wait to start listening to the rest of his books. This book is a must to have for any sale related career.